This was so easy! I try to make as much food homemade as I possibly can. With so many foods filled with GMO's and chemicals it's important to take part in making your own food at home. This was a short cut though. 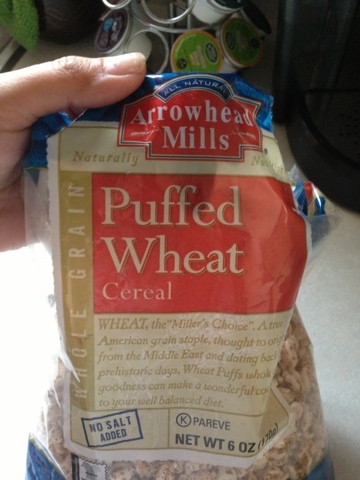 I didn't puff my own wheat, but I did buy All Natural puffed wheat for this recipe. I try to purchase natural or organic. I also look for products that have little or no salt, same idea with sugar too. If you're looking for gluten free I also have some gluten free cupcakes that I have shared, you can find them here and here. I love that you can find gluten free brands everywhere now. 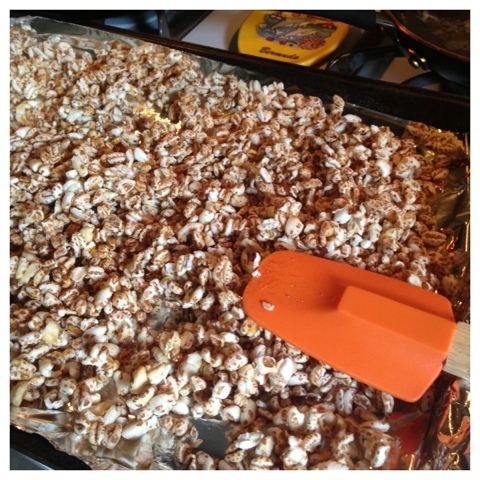 This little recipe is not gluten free, but very yummy. 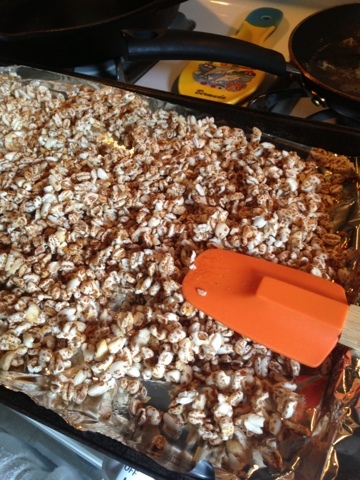 All you have to do is spread the cereal as one layer over the foil. (We use the foil for easy clean up!) Drizzle honey all over. 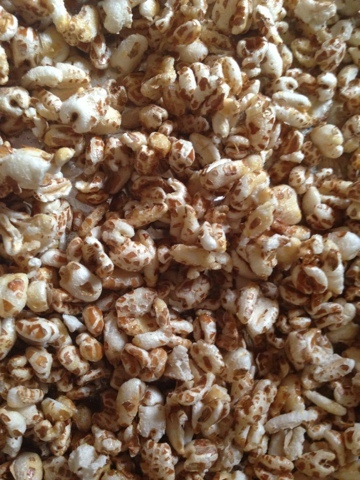 Sprinkle a little salt and pop it in the oven at 350 degrees for about 6 minutes, and you're done! After I took out the cereal, I let cool for about 10 minutes, and then I scooped it into a cereal container. 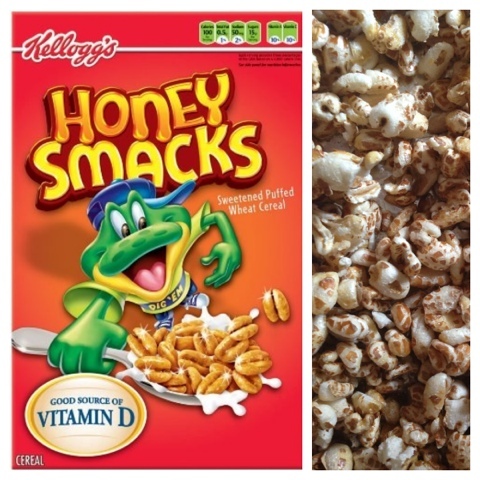 It tastes just like Honey Smacks, except it's a much more healthier version. 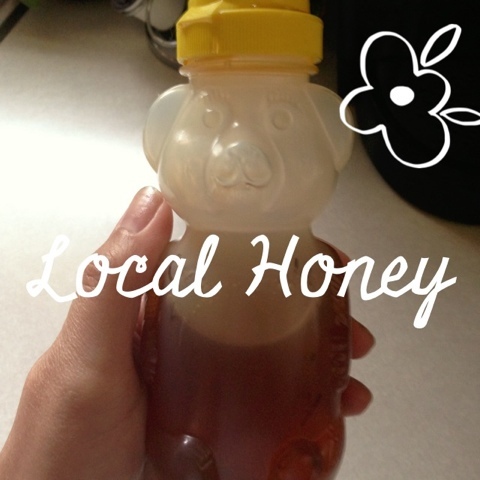 Especially because I used local honey, which is good for you in so many ways, especially with allergy season on it's way! I know as a mom, buying cereal at the grocery store can be very frustrating, especially when your trying to get healthy cereal. Your kids want the ones with the bright packages and the most sugar. 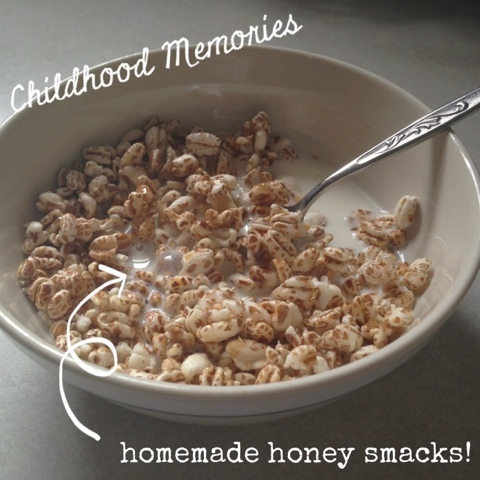 If they already like Honey smacks then they will love this recipe. It's a great way to avoid all the unnecessary chemicals, and sugars.